A division of the Town of Wake Forest, Wake Forest Power is comprised of 26 employees who strive to provide uninterrupted electric service to nearly 8,000 residential and commercial customers through the regular maintenance and upkeep of the town's electric distribution system. Altogether, our crews operate and maintain more than 140 miles of overhead electric distribution lines. They regularly refurbish or rebuild electric lines that show signs of wear, and upgrade facilities where electric load has grown. Additionally, through our Reliability Improvement Program, we identify electric lines and circuits that require upgrades or even complete reconstruction to meet the growing needs of our community. Thanks to these efforts, our customers enjoy dependable electric service 99.9% of the time. On those rare occasions when power is interrupted, the problem is often traced to equipment issues that are undetectable prior to the outage and unpredictable wildlife. The Town of Wake Forest directly provides Electric and Yard Waste services. We also provide residential Garbage & Recycling services by contract with Republic Services. The City of Raleigh provides Water & Sewer service. Visit this page for complete contact information for the most common utility concerns. Pre-Pay Power electric service may be established over the phone or by completing our Pre-Pay Power electric application. Post paid electric service must be done in person at the Wake Forest Town Hall, 301 S. Brooks St., or by completing our Residential Utility Application. Post paid electric service cannot be established over the phone. To report power outages or emergencies, such as downed power lines, call 919-761-7899. Wake Forest Power employees are available 24-hours-a-day to respond. 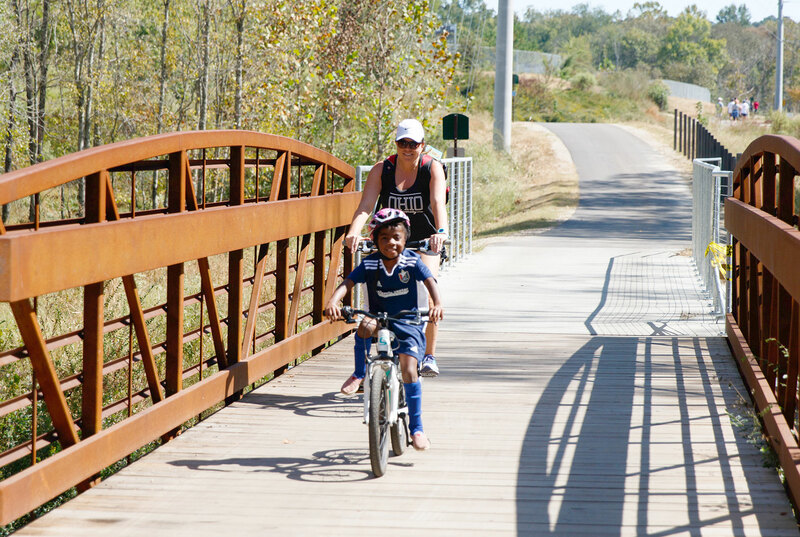 As a community-owned electric utility, the Town of Wake Forest provides exceptional customer service at the lowest reasonable cost. We also endeavor to ensure that all of our customers are served efficiently and treated fairly. Wake Forest Power is one of 235 of the nation's more than 2,000 public power utilities to earn Reliable Public Power Provider (RP3) recognition from the American Public Power Association for providing consumers with the highest degree of reliable and safe electric service. 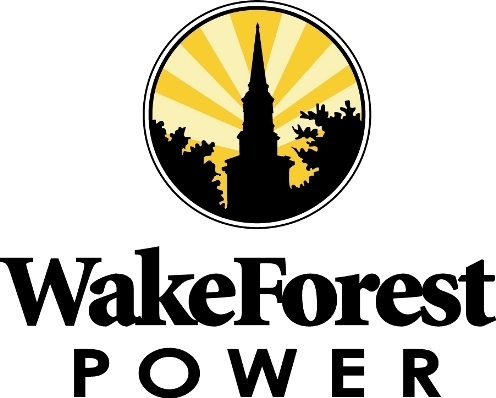 Wake Forest has been a public power community since 1909. Learn about the benefits of being served by a public power utility. Wake Forest Power consists of a three-man tree crew charged with trimming and removing trees that interfere with the town's 140 miles of overhead electric lines. Each member of the crew is a certified utility arborist. By maintaining and removing these trees, the town works to ensure that they will not be a threat to the power lines during storms, thus eliminating outages. To have a tree inspected that may be threatening your service or the town's main electric lines, call 919-435-9570 or email Betty Pearce and request a work order. As the tree crew removes and trims lines, they chip the trees and limbs. To request mulch, call 919-435-9570 or email Betty Pearce. For the repair of area, security and street lights, call 919-435-9570 or email Betty Pearce. For the new installation of an area or security light, view our Area Light Services Brochure or call 919-435-9400 for more information. NC GreenPower is an independent, nonprofit organization established to improve North Carolina's environment through voluntary contributions toward renewable energy. A landmark initiative approved by the N.C. Utilities Commission, NC GreenPower is the first statewide green energy program in the nation administered independently by a nonprofit organization and supported by all of the state's utilities. Before digging in the Town of Wake Forest, please contact the North Carolina One Call Center at 811. By calling this number, the NCOCC will dispatch any utilities that have lines in your area. Underground services are installed at a cost of $275, up to 150 feet, for new or converted services. Find out how Wake Forest Power keeps your energy flowing safely and reliably - and how you can help. Learn about tree trimming, landscaping around electric equipment, power surges, energy theft, and much more. Learn about the operations of the Town of Wake Forest and related organizations during severe weather events. Announcements about town services during severe weather events are made on our Severe Weather Updates page, in town news releases, and on Facebook. Automated Meter Reading, or AMR, is a state-of-the-art technology that will enable the Town of Wake Forest to read your electric meter remotely without having to physically visit and manually read your electric meter. By deploying AMR technology, Wake Forest will be able to provide its electricity customers with more frequent, timely and accurate electric meter readings without the need for meter readers to come to your property leading to greater accuracy on your monthly bill.